It is a little while since I have had a chance to fish the river and I was pleased to see that it was fishing very well. I had my doubts initially, having seen only one feeding fish in the first hour or so. 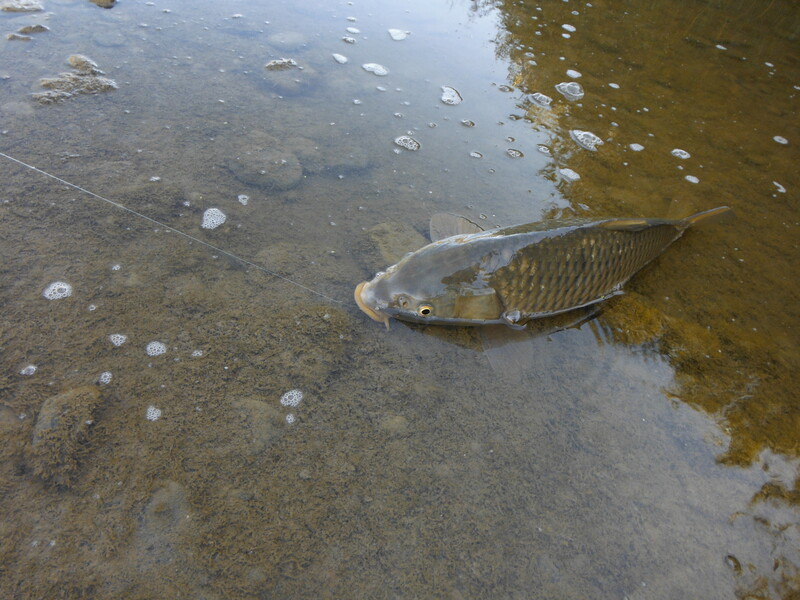 This fish, a carp, had been working its way slowly upstream in a wide shallow pool leaving in its wake a trail of disturbed sediment. 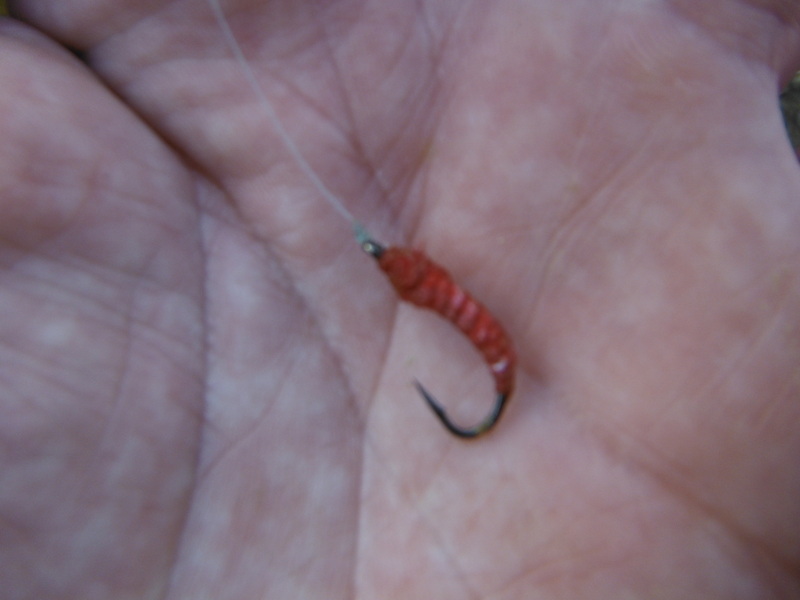 I managed to catch up with it at the head of the pool and hooked it briefly. The fish at the time was in the very edge of the shadows of trees and was difficult to spot. I was not sure if the fish had taken the nymph properly or if I had foul hooked it and so I put almost no pressure on it and we were both reasonably happy when we parted company – the fish, no doubt, more than me! It was in this same area about an hour later that I saw a fish in relatively shallow water. It took a nymph close to the inflow of water and fought like a demon. There were quite a few snags on the opposite side and I managed to keep it away from these until I figured the fish was tired enough to beach. It was a really lovely fish and as good as I have seen in this stretch of the river. After I had photographed and released it I felt absolutely over the moon. In the next pool upstream fish were pretty active although they were difficult to see if you were not, yourself, in the river. 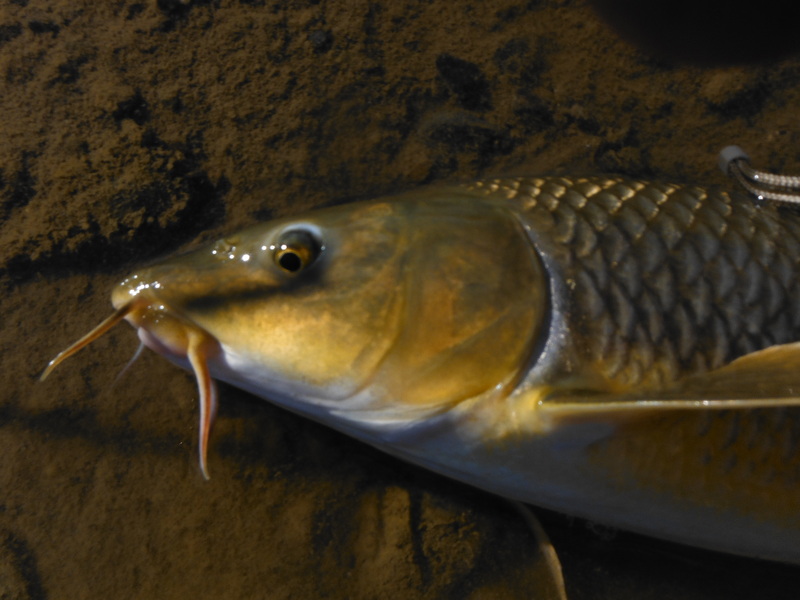 I managed to get the better of a half dozen gypsy barbel. These are really beautiful fish and endemic to this part of the world. Today they took the nymph very positively and, one in particular, fought like crazy. It was like being attached to the one of the high speed trains that run from Malaga to Madrid! 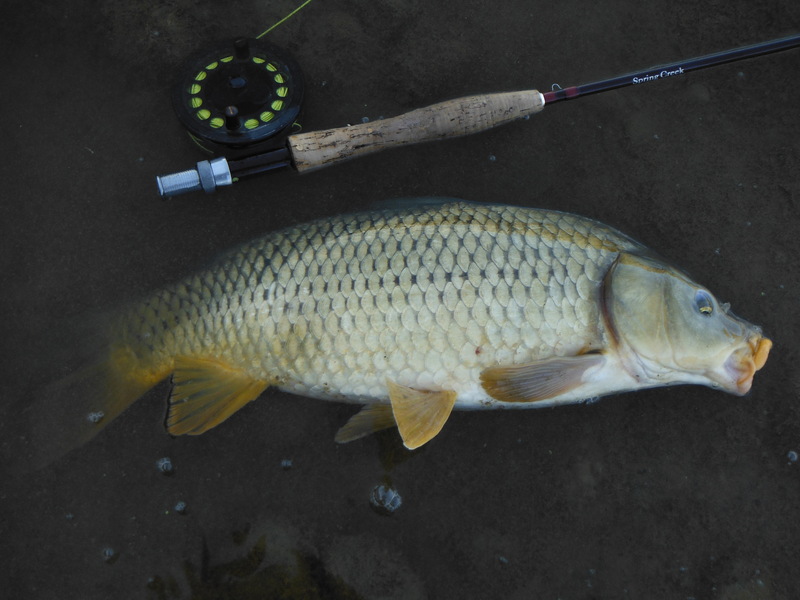 The carp is finally beached! 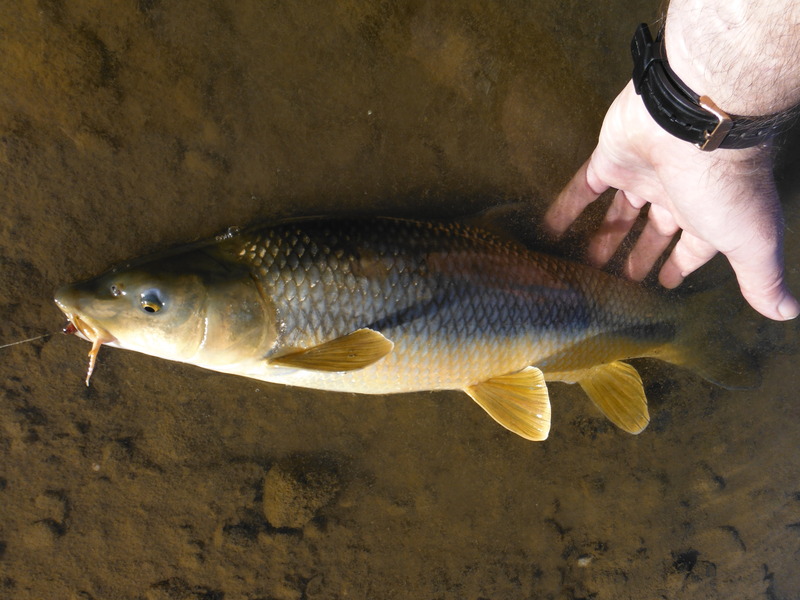 Gypsy barbel – a local speciality! « Do fish have friends?